Many new releases for all styles of music. Queen and wedding music for various wind instruments, music for guitar and piano, these are the highlights of the sector “music for solo instrument”. 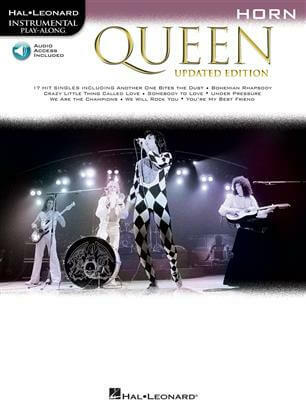 The booklets “Queen” for example contain solo arrangements of 17 Queen songs for various instruments with accompanying tracks: Another One Bites the Dust – Bohemian Rhapsody – Crazy Little Thing Called Love – Fat Bottomed Girls – Killer Queen – Radio Ga Ga – Somebody to Love – Under Pressure – We Are the Champions – We Will Rock You – You’re My Best Friend – and more. About 60 years ago the musical “Hair” was released, which has been performed successfully all over the world since then. 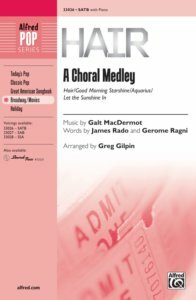 For choirs we have recorded the current editions. Acu other works by Franz Xaver Engelhart, Howard Hanson, Justin Paul and others can be found here. More than 140 works have been published for various ensembles. Among them single titles like “Hallelujah” by Leonard Cohen for all possible wind ensembles. 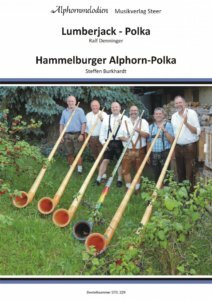 But also collections like “Disney Songs” by Hal Leonard or “Lumbejack-Polka” for 4 Alphorns. Ravel, Mancini, Rossini, Morricone are further names whose works have been arranged for various ensembles. “Walk The Moon” are back with “One Foot”! Filmmusik and Lieder aus der Popular Musik have appeared for string orchestras and similar orchestras. For example “One Foot” is a song by the American rock band “Walk the Moon” for their third studio album, What If Nothing (2017). The song was released on September 22, 2017 as the album’s lead single. Billboard said the song “promotes the same ecstatic abandonment as Shut Up and Dance,” but unlike its predecessor, the 90’s revered predecessor, it follows EDM logic with a gravity-repellent beat drop and echoing vocals. 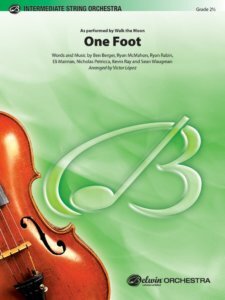 Eli Maiman said, “It’s an indication of the larger, epic sound of the album.” Nicholas Petricca said, “‘One foot’ faces emptiness. On the last record we had the feeling that we had many answers. This time we have a lot of questions. Finally, more than 140 works for wind orchestra have been newly recorded and linked to numerous background information. From folk music to Schlager, film to opera and many works by contemporary composers can be found. For example, the “letter polka”: together with other novelties, this polka française was first heard on 24 July 1868 at a concert that took place during the Bundes-Schützenfest in Vienna’s Volksgarten. 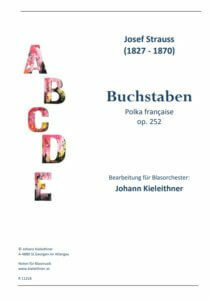 The original work gained its name from the fact that Josef Strauss had the main motif begin with an ascending scale in F major, which comprises the first seven letters of the alphabet: a-b-c-d-e-f-g.
All degrees of difficulty are represented. We wish you a lot of fun while browsing.